Vodka is a product that can be used for many things other than making drinks. The best thing is a cheap bottle is all you need to see what you can do with this type of alcohol in your home. 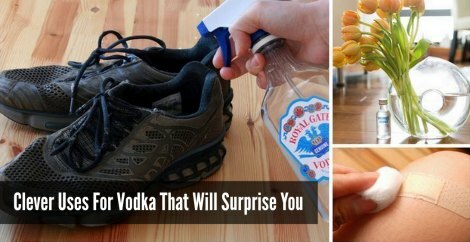 You may find a lot of uses for vodka are absolutely brilliant. One reason for the many uses for vodka is the alcohol makes a great solvent. This will mean you have a great way to remove glue or adhesive residue and eliminate odors. You can apply it directly from the bottle or simply dilute it with a little bit of water in a spray bottle. The uses for vodka around your home are numerous. Find some hacks that make the most sense and start applying them in your home today. You might discover that you no longer need to spend good money on various cleaning products and other common household products.